Tocumen International Airport is Panama’s largest airport; it sits just 15 miles from the country’s capital, Panama City. Most travelers find travel in Panama costs between $35 and $50 per day. The country’s tourism high season coincides with its dry season, from December through May. This time of year regularly sees temperatures between 24˚C and 32˚C (75-90˚F). During the wet season, the average daily temperatures don’t budge, though humidity increases substantially. Handbags, wooden bowls and other street crafts are commonly purchased souvenirs in Panama. Panama is a central American country, which sits on the isthmus connecting North and South America. The country’s biggest claim to fame is the Panama Canal, an important route which allows boats to travel from the Atlantic and Pacific Oceans without having to circumnavigate South America. Fees for using the canal, along with increased revenue from travelers, makes up a huge portion of the Panamanian economy, the second largest in Central America. However, tourism and agricultural exports, especially coffee, also play significant roles. The most successful indigenous groups from Panama were the Cueva, Chibchan and Chocoan. Though all three enjoyed relatively large populations, the Cueva were the biggest and in many ways most dominant indigenous group. Unfortunately, relatively little is known about these groups or their culture. In 1501, Spanish conquistador Rodrigo de Bastidas became the first European to explore Panama. Very quickly, European diseases began to kill the indigenous peoples, who’s immune systems had never had to deal with European bacteria and viruses. Subsequent expeditions by Christopher Columbus and Vasco Nuñez de Balboa proved to the Spanish the strategic importance of Panama, and it quickly became the economic centrepiece of their New World territories. Though the Spanish technically ruled Panama for 300 years, at many times their control over the region was weak, especially in the few remaining indigenous strongholds. These areas violently resisted Spanish rule, and colonial Panama’s history is marked by constant warfare between the Spaniards and the natives. The lack of control, yet high economic importance, also made Panama the perfect haven for pirates and vagabonds. Other European powers also took advantage of the Panamanian condition, most famously when the English government coordinated and funded Henry Morgan’s expedition to burn down the city of Panama in 1671. In response to the constant threats, Panama was placed in the control of New Granada, a Spanish territory occupying northern South America. Towards the end of 1821, the city of Los Santos declared its independence from Spain, a movement which slowly spread throughout the country. However, Panama also volunteered to become a part of Colombia in 1821, which it remained for the first 80 years of its post-colonial history. Though several independence attempts were made, it took the support of the United States in 1903 for the country to declare its independence. Part of the condition for receiving American aid was an offering of a thing strip of land in the country, which the Americans used to build the Panama Canal. Though Panama was officially a constitutional monarchy, it spent most of the early 20th century under the control of a small group of powerful businessmen, followed by military dictator Manuel Noriega. At first, Noriega was backed by the US government, especially the CIA. However, the United States ultimately lost control over the region and chose to cut all military and economic funding in 1987. Two years later, the US stormed Panama and overthrew Noriega. Since then, the country has maintained a democratic state, though its struggled with corruption and slow development. On December 31, 1999, the Panama Canal and surrounding areas reverted from American control back to Panama, officially ending any political links between the two countries. 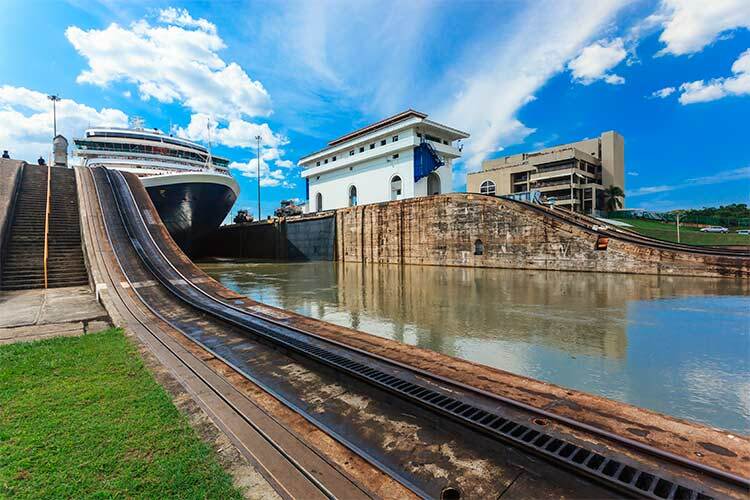 Not surprisingly, Panama’s top tourist attraction is the Panama Canal. Visitors can charter rides through the canal, which typically takes an entire day. 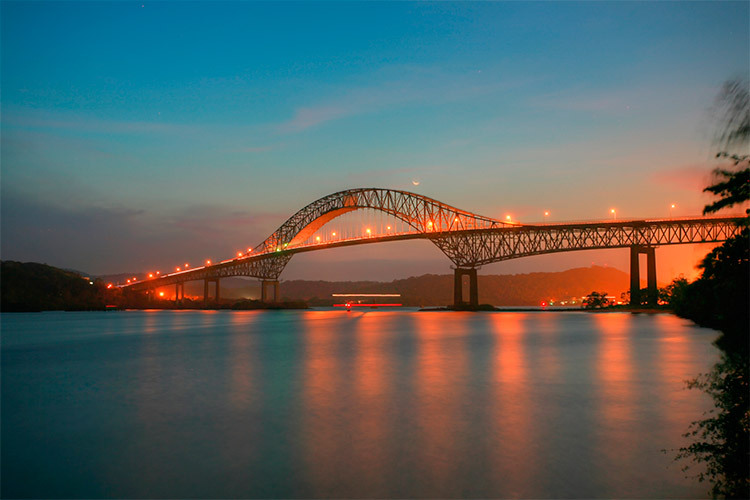 Besides the fascinating view and historical significance of the Panama Canal, travelers are often stunned by the miraculous engineering behind the canal. Ships into the canal through a series of locks, which raises the water level to nearly 85 feet above sea level before dumping into a manmade lake, Gatun Lake. This process then occurs in reverse on the other side of the lake, gradually lowering the ships back down to sea level. A third set of locks are in construction and scheduled to open in 2016. If you’re seeing the Panama Canal, chances are you’re doing it from the country’s capital, Panama City. However, there’s lots of other things to do in the city. For instance, visitors will want to see Casco Viejo, the historic colonial section. Many impressive structures can be found here, including the impressive church La Catedral Metropolitana and the presidential palace El Palacio de las Garzas. This area is also known to have some of the best dining and shopping options in all of Panama. 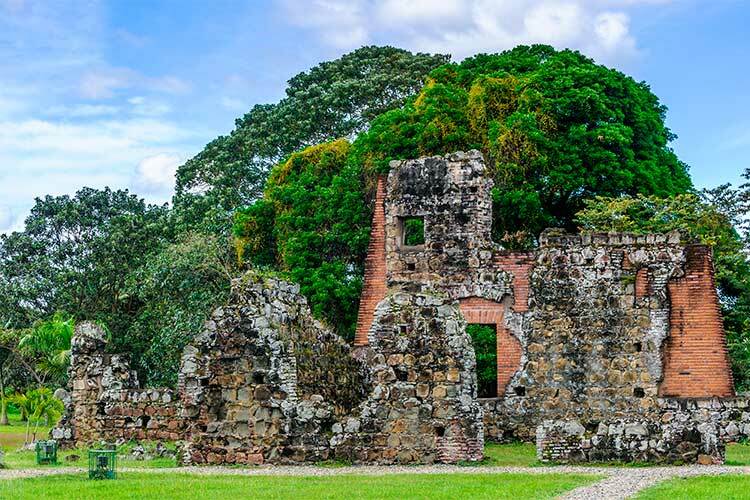 The ruins of Panama Vieja, which was burnt to the ground by privateer Henry Morgan in 1671, are also worth visiting. Travelers should also see Amador Causeway, a road and pedestrian walkway which connects Panama City to four adjacent islands. These islands are largely undeveloped, though shopping and restaurants do exist at the end points of the causeway. 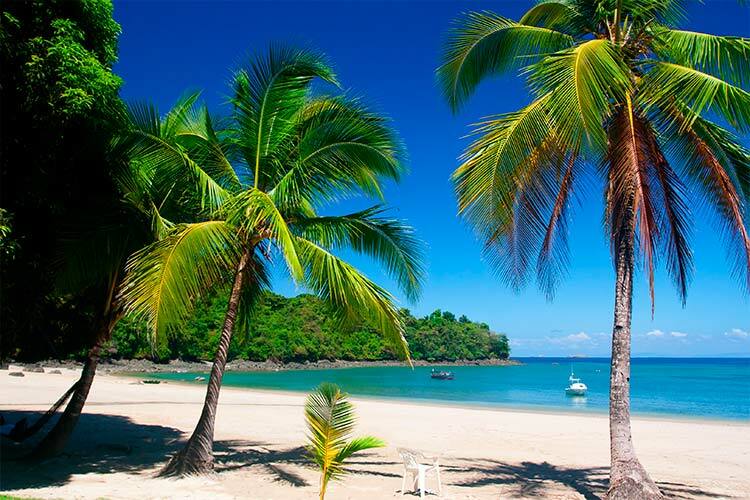 Another popular travel destination in Panama is the province of Bocas del Toro. The region’s primary attraction is scuba diving. Though colourful coral reefs and abundant marine life can be found throughout Bocas del Toro, the Bastimentos Island Marine Park is considered one of the premier areas to dive in. Surfing is also a popular aquatic activity in Bocas del Toro, due to the large number of locations at various levels of difficulty. The island of Isla Colón is a very celebrated destination in Bocas del Toro, mostly due to its flawless white beaches. Isla Colón’s popularity has caused numerous beach resorts, nightclubs, and other tourist-focused businesses to flourish in the last decade. 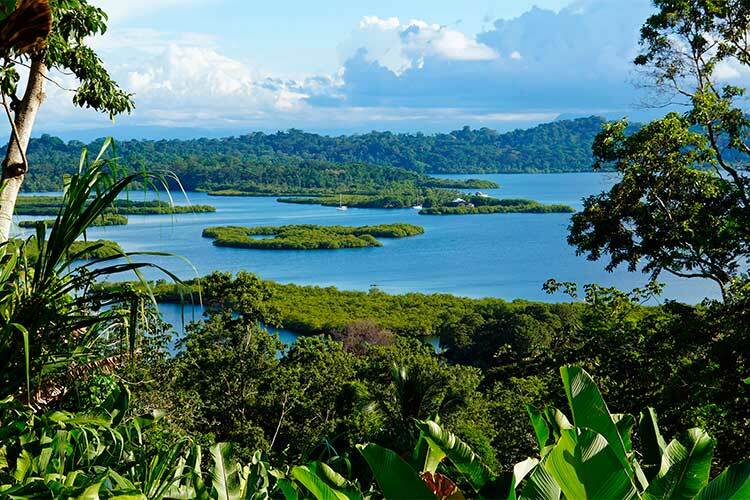 1) La Armistad International Park is a nature preserve split between Costa Rica and Panama. The park is well known for its beetle diversity, of which there are more than 17,000 unique species. There are also countless plants, numerous birds, and even some large mammals such as the jaguar. The park also features a handful of indigenous tribes living in small, remote villages. 2) Hit the beaches of Bocas del Toro and participate in one of the many aquatic activities. You’ll find plenty of surfing, scuba diving and snorkeling throughout the region. Bastimentos Marine Park or Isla Colón are good areas to find water activities. Alternatively, explore the streets of the lively capital of the region, Bocas Town. 3) David is one of the better developed cities in Panama. Travelers can expect fine dining, upscale shopping and even a handful of bustling casinos. In the center of David is a quaint park, Parque Cervantes. 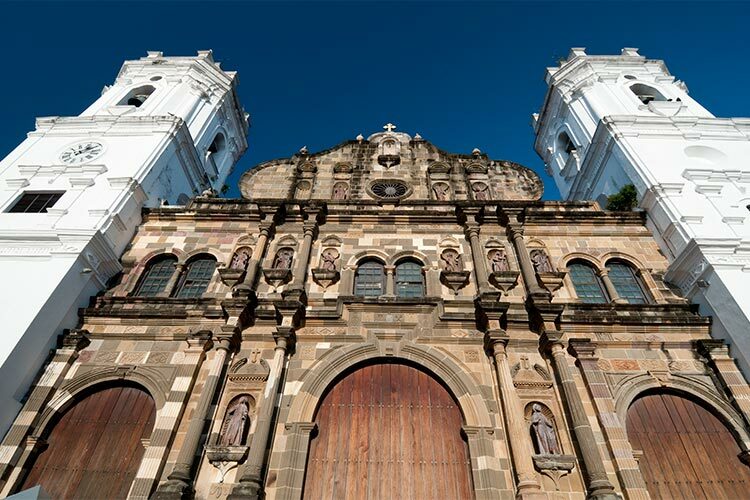 The city also features a handful of historic sites, most notably the old church Catedral de San Jose de David. 4) Coiba National Park is a UNESCO World Heritage site composed of 38 small islands and an expansive section of the surrounding waters. 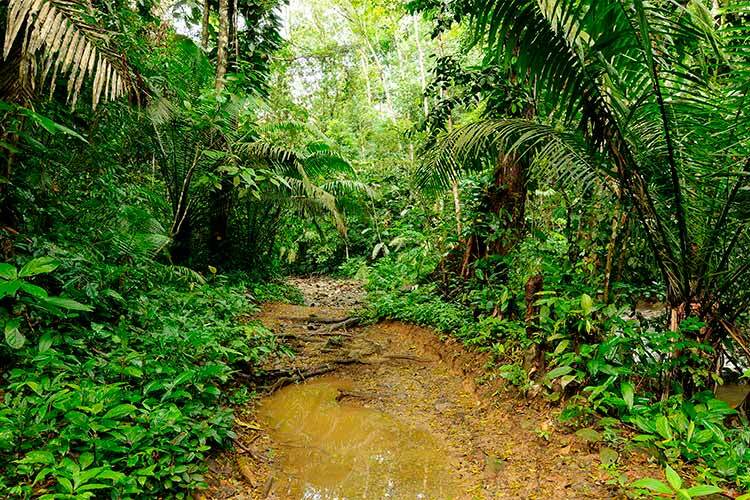 This park has been extremely well protected and features huge areas of untouched wilderness. Expect to see a wide variety of different fish, birds and other wildlife. 5) Panama’s busy capital, Panama City, is the perfect location for travelers. Casco Viejo is the city’s relatively well preserved old section, as well as the location of Panama’s presidential home El Palacio de las Garzas. Outside of Panama City sits the ruins of the old city of Panama, known as Panama Vieja. Panama City is also the home of most of the country’s top shopping outlets and restaurants. 6) Taking a boat through the Panama Canal is an unforgettable experience. There are still boats that take tourists through the locks and Gatun Lake for a small fee. This excursion will take most of the day, but it gives travelers a firsthand look at just how spectacular of an engineering feat the canal truly is. Boats can be chartered in both Panama City and Colon. 7) Darién National Park is a protected area that forms the buffer between Central and South America. The park is known for its huge number of biomes, which range from beach to marsh to jungle. There are also two small native villages deep in the jungles of Darién, where indigenous peoples have managed to preserve their way of life.